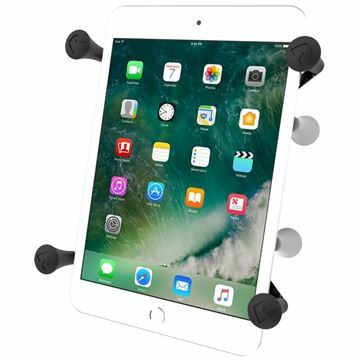 Hummingbird Electronics stock a range of quality tablet mount and ipad mount brackets and components from RAM Mounts, providing the most flexible, secure and safe fitment of your device onto any vehicle or surface. 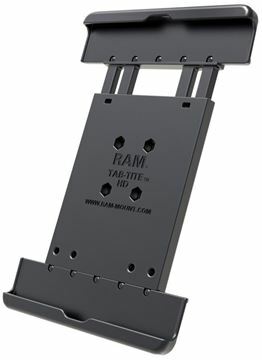 The RAM-HOL-TAB28U RAM Tab-Tite Cradle is for 9.7" Tablets (or 10" class tablets) including the Samsung Galaxy Tab A 9.7. 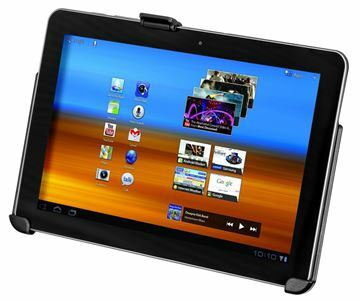 Get the RAM-HOL-SAM5U RAM EZ-ROLL'R for Samsung Galaxy Tab 10.1 from Hummingbird Electronics' great range of RAM iPad & Tablet Mounts online. The EZ-ROLL'R for Samsung Galaxy Tab 10.1 is the perfect addition to your set-up for your next adventure. Get the RAM-HOL-TAB18U RAM Tab-Tite Universal Cradle for Google Nexus 7 from Hummingbird Electronics' great range of RAM iPad & Tablet Mounts online. 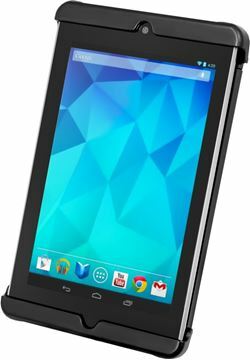 The Tab-Tite Universal Cradle for Google Nexus 7 is the perfect addition to your set-up for your next adventure. 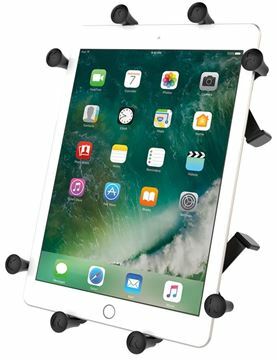 Get the RAM-HOL-UN9U RAM X-GRIPIII Universal Cradle for Large Tablets from Hummingbird Electronics' great range of RAM iPad & Tablet Mounts online. The X-GRIPIII Universal Cradle for Large Tablets is the perfect addition to your set-up for your next adventure. The HMRMHUN8BU consists of a spring loaded holder and 1" rubber ball connected to the back of the base.